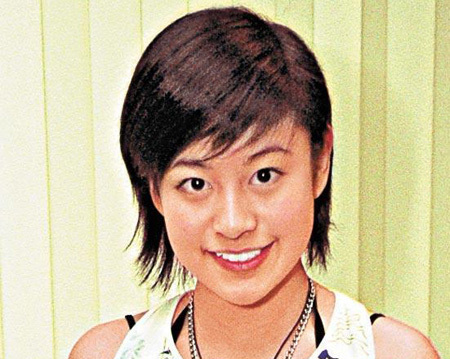 Big-eyed Elanne Kong Yeuk Lam sent many male youths’ hearts aflutter when she debuted as an 18-year-old in the entertainment scene. It turns out that Elanne was not naturally blessed with a pair of large eyes and may have surgically enhanced them. 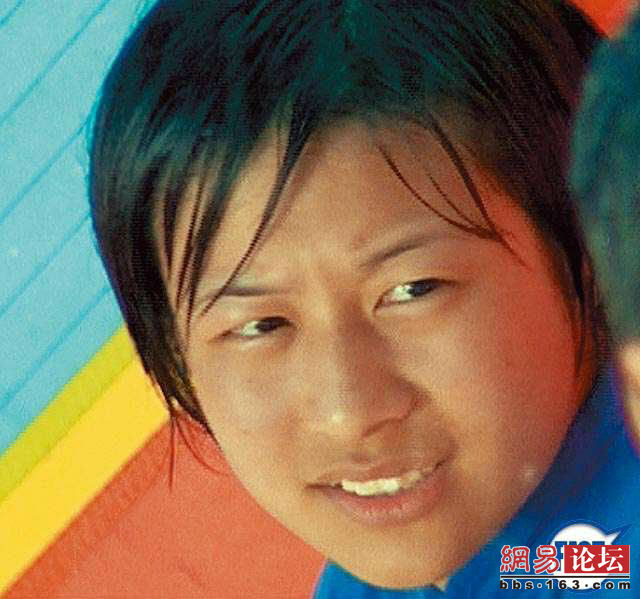 Netizens unearthed old photos of Elanne as a 16-year-old girl in her first film, <17歲的夏天>. It appears that Elanne’s current appearance underwent a remarkable transformation! 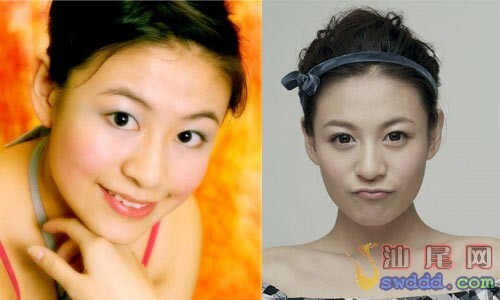 When Elanne was 16-years-old, she responded to a casting call for Media Asia’s series, <伙頭智多星>. 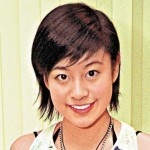 Although Elanne was not cast in the series, she met Media Asia’s female boss, Chiu Shuet Ying, in the restroom and became a contracted artist. Since Elanne’s debut, she has been plagued by plastic surgery rumors and wearing circle contact lenses to make her eyes appear larger, successfully transforming her former plain self into a beautiful goddess. Elanne noted that people should not assume that artists look flawlessly beautiful everyday. Plagued by a variety of negative rumors over the last four years, Elanne encountered the lowest point in her career two years ago, when she was rumored to be the third party in her boss’ failed marriage. At the time, Elanne almost took her mother’s advice and considered leaving the entertainment industry to further her education overseas. Jayne: It’s not the first time I came across old photos of Elanne before her plastic surgery. Aside from eyelid surgery, it also appears that she may have received some contouring of her jaw line to achieve her present look. Her surgeries came out extremely well and she looks great! Or maybe at 16 she was still developing and growing. People grow into their looks sometimes. I believe almost all stars, male or female did some enhancement to the eye areas. Most would do their teeth. @Funn, true most stars had some sort of eyelid surgery done to give more definition to their eyes, even for stars that had double eyelids to begin with. As for Elanne, I do believe she had eyelid surgery. Her eyeslids are completely deeper now. She also lost a good bit of weight, which may have slimmed down her face. I can’t tell if there was further refining of the tip of her nose, as her younger pics show a slightly fuller and flatter nose tip. Make-up makes a huge difference. However even when Elanne doesn’t wear a lot of make-up these days, her features are different than before. i’m ready to go under the knife. i wanna know where these artist go to get their stuff done!!!! Whoa! Huge difference! The main pic that shows the before and after look like 2 completely different people! I’m not surprised if she did plastic surgery. It was worth it the way she looks now! And as Funn mentioned, I’m sure most stars did some procedures to enhance their look, whether it’s double eyelid surgery, botox, or contouring. Some are more naturally more better looking even before entering the industry. And also, good make-up makes miracles. But in her case, I think it is plastic surgery. Even though she was only 16 in her earlier pics, she still looks way different. People can grow from ugly duckling to swan naturally. That was a picture of a 16 year old Elanne with baby fat and no make up compare to a now fully grown up Elanne with heavy make up and sans baby fat. It can make a big difference. I do believe she use contact lenses to make her iris look bigger (I remember Ron teased her about it), but, surgery might not be necessary. There’s a make up technique that can make your eyes look a lot large than your sans make up eyes. Someone has shown the step by step technique on how to achieve this in the net. I’ve seen a normal 12 year old girl applying the doll-like-star makeup step by step on the net and she totally changed into a different person after make up. She may or may not do surgery, but the same, or almost the same transformation effect can be achieved with helluva makeup too. The make up can help a lot to make a duck becomes a swan. Common the picture was taking when she was a kid. A lot can change to what she is now. she looks completely different. the rumors are true. She’s definitely had some work done on her eyes. 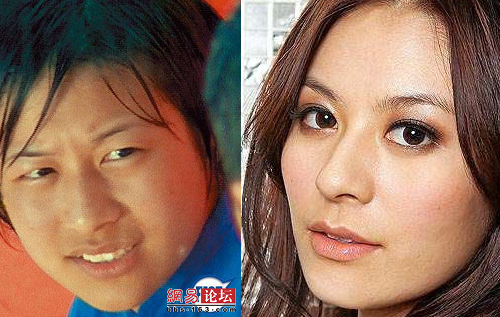 There’s no such make-up that could transform a person’s mono-lid to a double-lid, unless she is wearing eyelid glue/tape, but I highly doubt she would make the effort to wear them on a daily basis when she could simply resort to the plastic route like many other HK stars (Michelle Ye, Rain Li). However, her features weren’t terrible to begin with, so a majority of the transformation is probably due to growth and make-up. I recently got to know a friend who wear makeup all the time and use fake eye lashes all the time. She’s very good at make up. She told me if you use the eyelid tape all the time, your eye will form natural line later on and even without using the tape, the line will still be there. She said that’s how her double eyelid were form. Yes, I believe. There’s no reason for her to lie. Kidd’s friend may be telling the truth. I think your friend will have to “reinforce” her new eyelids once in while still with glue though. Anyone ever had their noses pinched as children growing up by their mother’s? So the bridge of your nose will grow into a nice high and thin shape? Same concept, I believe, with the eyelid tape. Unfortunately, my mom never did this for me :T but I’m not sure if it would’ve worked anyway haha can anyone give their personal experience about the nose and eyelid tape? I don’t think your face can change that much. All these pictures make you think that there is still some hope for uglier teenage girls, as one day they will also be able to shift that “baby fat” and grow bigger eyes. I’m 23 and still have baby fat on my face. How do shift fat from your face? 23 is still very young, my dear…. Seriously baby fat takes that long to go away…great I still got like ten yeats before I won’t look like an oversized baby. Prob 99% of Celebrities have had plastic Sur. I was watching the old detective files II and saw TAVIA YEUNG as a news reporter and she looked way different, her nose (Nostrils) flared out and very big. Now her nose is very slender and fine. I’m 100% sure she had plastic surgery as well. Face might change as you grow old but eyelids won’t. It’s obvious that she did eyelid surgery. Her features look quite angular before and have been softened and refined now. I’m a believer that age and weight greatly impact one’s appearance. It happened to me. I’m sure her big eyes now are not from birth. However, whether the look is achieved through surgery or great makeup…well I don’t know because I’m not an expert in either haha. If there was a pic of her [full face] with little makeup as an adult, I’d say it would be better for comparison. Her nose also looks slightly different, but not anything drastic. I personally think she looks great. If plastic surgery makes you look better and you feel better about yourself, then go on with it! Glad Elanne turned out pretty and natural looking. I always cringe when I see the prototype Angelababy faces or Asian Barbie bodies, haha. Most artists have had plastic surgery done in one way or another. It’s just that some have more and others have less. What I hate most is that they have to lie about it. I mean, it is not a big secret nor is it shameful for them to do it since everyone does it. I bet they just want people to praise them for looking good “naturally” instead of having to go under the knife to look decent. I just want to add that I do get sick of people trying to achieve a barbie doll type of look. It just gets so redundant and boring… ALso, they cannot hide it if there are old pictures of them out there. People will eventually track down the old pictures and see the differences in comparison to their newer and more recent pictures. I personally am a big chicken and would be scared to death to go under the knife… Boy all that pain just for beauty?? I wonder if it is worth it? I would go under the knife for health reasons, but beauty??? HOw much are you willing to sacrifice?? I dunno why ppl aren’t happy with how they looked when there aren’t any scars, big moles, extreme birth marks, etc. Even though you have work done there is always gonna be someone out there that’ll look better then you. What will you do when your 70-80 years old? More surgery? Where does it ends? Totally agree and yea, regardless of pretty or talented you are, there will eventually be someone that is better. I think that when you get older, you should be more concerned about your health not your looks. Looks become less important as you get older. I didn’t know Tavia had her nose done. When asked by reporters, she insisted her nose is natural. Of course she is going to say that. Many celebs will not openly admit that they has plastic surgery, especially when they are asked directly too. They want people to compliment them if they have “natural beauty”. If they say that they have had it done then people will not compliment or admire their looks anymore since it is not unnatural. Well it is easy, just come up to her and said if that is the true would you mind if i touch it:). Believe me or not I am Vietnamese and I do have double eye lids and very high nose. Those questions were asked even when i was 6 years old. 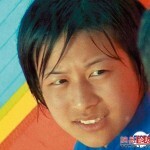 Since most of Oriental has flat nose, coarse hair, and mono-lids and thin lips. Except for Filipino, Laotian, Cambodian, and Thai. But the truth is I am not fully 100% Viet. I do have some French blood in me therefore, i inherit the double lids, high nose, pouting/thick lip, and fine hair. Most of Hong Kong actresses they already have the natural beauty and when they are in the film industries make up help them a lot. I am sorry but I don’t think a lot of actresses from HK already have what you call natural beauty. Actually if you compare Hk actresses to mainland, Taiwan and some other countries, Hk actresses generally aren’t as pretty. thank you so much for saying that. I’m 1000% full blooded Vietnamese with double eye lid, high nose and fine hair. It sure veries from person to person. It’s ignorant to think that most Asians have flat nose and monolid eyes. My sister has a rather flat nose and she’s more beautiful than I am. Yea, they think that we are all blind or stupid.. How sad is that?? Papa Papa Paparazzi … ooo o lah lah lah. sorry but she’s still not attractive to me AFTER her surgeries. i think its her nose and upper lip that i dont like. if youre gonna get surgery, you might as well get the whole package. Are the before pics the same person as the now pics of her? A lot of you say, someone can change as they get older. But not as this extreme in her case! Totally agree and yea, if you ever want to test how a girl really looks, then just wipe off the make up. I don’t think that any product or money can buy a good natural complexion. How would we know? Do you mean that if you had plastic surgery, then it will affect her looks after she has kids?? Probably. If you’re on Botox you have to stop as it might affect pregnancy. But changed looks itself I think not much impact. I think what J00ky meant is you will know whether the kids look like the mother. If drastically different, then we know she did changed her looks. The plastic surgery will affect this person when she/he is aging. I personally dun believe in any 50+ artists who still can look good without any botox :P.
oh my gosh, if you didn’t tell I wouldn’t know that it’s her. They look like two completely different person. Wonder how her mom feel about her changing her natural look, the gift given to her by birth? even after surgeries, she’s still not gorgeous. her voice is really annoying…maybe she should fix that, too. Is it even possible the to fix the voice without damaging the voice box?? thank you so much for saying that. I’m 1000% full blooded Vietnamese with double eye lid, high nose and fine hair. It sure veries from person to person. It’s ignorant to think that most Asians have flat nose and monolid eyes. My sister has a rather flat nose and she’s actually more beautiful than I am. Thanks and I never believed in stereotyping and think it varies from person to person. Just because someone has a high nose doesn’t mean that they have to be mixed. Some of my cousins have very nice and high noses, light skin and all but they are not mixed at all. Many think that just because some have a high nose means that they are more beautiful. THat is NOT necessarily true at all. omg…she was very different 100% change mostly her eyes,nose….she very young to do the plastic surgery…anyway when she choose this way…she look beautiful…i think she natural beauty but omg!!! plastic surgery!oh no…. Why is it so hard to believe?? EVERY celebrity, TV person, female AND male has had SOME kind of surgery or something done – people who don’t believe it until a picture of before/after is shown is just plain naive or dumb. Not every. I don’t think double eyelid procedure should be counted as surgery. So that leaves a lot out. Whitening, teeth capped, also isn’t. I can name probably a few who are naturals, beauty or not is of course debatable. It is not true that all asians , except filipinos, thai, cambodians, etc have flat noses. MOst southeaast asian have big wide flat noses and no nose bridges. If they don’t then, they have blood from elsewhere. In China, KOrea, and Japan, there is population with tall narrow noses and oval faces. Southeast asians naturally have the biggest and flattest noses due to where they live. The flat wide noses makes breathing easier. Have you notice most people from cold weather/snow area have taller noses??? Viets, Thais, Cambodia and filipinas and malay people without outside blood have the biggest flattest noses and dark skin. Most Southeast asian get plastic surgery to the noses. It is not true that all Viets, Thais, Cambodians and filipinos without mixed blood have big and flat noses and dark skin. I know many that are 100% but they have high noses and light skin naturally. It just varies… I have never heard of the noses having to do with breathing easier or not. I have heard of the region that you are living in makes your skin lighter or darker but not the nose. It also NOT true that the people in China, Korea and Japan generally have tall noses and oval faces. It really varies….